NEW YORK CITY – With more than 200 digital commerce searches each year, EcommerceRecruiter.com is the leading contingency-based executive search firm serving the Shop.org, Ad:Tech, and IR-500 communities. To opt-in to our popular “Ecommerce Job of the Day” email, click here. One of the coolest NYC ecommerce jobs around! HARRY’S COMMENTS: I’m working with a very famous children’s clothing brand in their search for a Director of Ecommerce based in New York City — which is totally awesome. NYC was the first place I lived after undergrad and I met my wife there. Happy times! Incredible club scenes for comedy, jazz, rock, blues, whatever. Sports galore. Museums. Theater. Every band of any significance plays there. It was nuts. The place never slept. Plus, the food was to die for. If you’ve ever wanted to run your own online retail business — here’s your chance. My client is a proven leader in the children’s apparel space, and they’ve recently acquired the online retailing rights for one of America’s most venerated children’s brands. And they’ll be looking to YOU to own it. You’ll take over a team of 3, but in short order your team could swell to 7-8. The client will leave it to you to decide the size and structure of the team. You’ll be given the budget and resources to get the job done, and the rest is pretty much up to you. There’s alot I’m leaving out here — but the basic premise of the job is simple: GROWTH. This is not a turnaround and there are no major fires to extinguish. However, there is a tricky transition to manage as the brand’s existing ecommerce business is moved from its former team (in another east coast city) to the new licensee (in NYC). Your job will be to make the numbers while managing the transition, leading the team, and integrating the brand’s etail business into the new NYC company. Initially, you’ll feel like the spinning plate guy on the Ed Sullivan show. But soon enough, you and everyone else will find a groove so you can concentrate on driving the business. I spent 3+ hours (in 3 separate sessions) on the phone with this client teasing out exactly what you’ll need to KNOW and DO to hit the ground running in this role. Simply put, I’m busting with high-quality intel on this one. The comp on this role is currently spec’d for the mid-100s base + bonus, but it may drift upwards depending on the evolving needs of the organization and the quality of talent available. To get your intel packet for this search, simply use the email link when you apply for the role below. Managing the brand’s ecommerce P&L. Prior ecommerce P&L management experience is strongly preferred. Partnering with the client’s Merchandising team to understand strengths in the assortment, sales trends, and future opportunities. Working with the client’s Marketing team to ensure that plans are integrated and meet the firm’s overall brand and commerce objectives. Budgeting responsibility for all digital marketing programs (including SEO / SEM / display / mobile / and emerging programs). Managing agency and vendor relationships by defining objectives, developing SOWs, reviewing creative briefs, leading cross-functional teams and holding partners accountable for achieving deliverables. Working with internal and external resources to drive the brand’s strategy and goals in emerging media while building the necessary business cases to gain the executive sponsorship. Using external / internal resources to research and benchmark industry leaders in the digital space. Setting, managing and tracking all digital marketing efforts to maximize ROI while ensuring established revenue, brand, and ROAS goals are met. Serving as a digital marketing evangelist for all channels and functions. Leading cross-functional team meetings and evaluating relevant vendors and assessing opportunities / ROI. Managing operational bottlenecks, providing escalation management, anticipating and making trade-offs to balance the business needs versus technical constraints. 7-10 years developing integrated digital plans, preferably in apparel retail. Very strong knowledge of online merchandising and promotional calendaring. 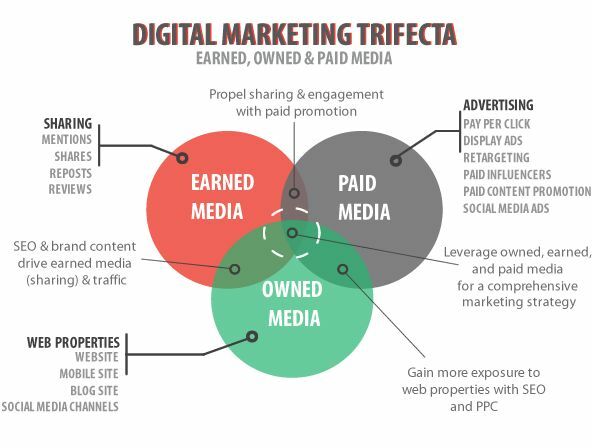 Proven ability to drive high-quality, brand accretive traffic through integrated earned, owned and paid media (SEM, SEO. online advertising, and social media). Desire / ability to work at both the tactical / strategic levels with proven success at developing integrated digital campaigns from strategy through execution. Strong knowledge of and experience with digital marketing technologies, platforms and practices. Proven ability to make effective recommendations in ambiguous situations that achieve business objectives. Must be results oriented with a high degree of energy, drive, and focus. We’re looking for someone to lead in a lean, fluid, and fast-paced environment. Proven ability to work under pressure, prioritize work and meet multiple deadlines. Excellent project management and organizational skills with a strong attention to detail are required. Excellent relationship building skills, plus a proven track record of leadership across functional lines. Must have strong consumer understanding skills, ability to translate customer insights into successful marketing programs and a high degree of creativity to find new, compelling ways to reach and communicate to consumers.